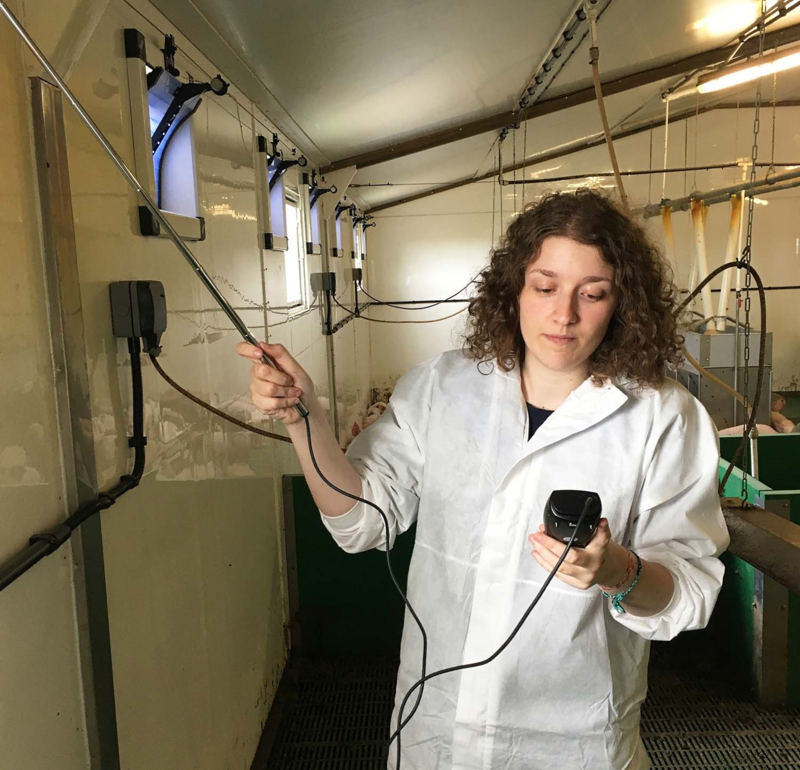 A new pro-active service being offered by ARM Buildings is now routinely picking up malfunctions such as broken fans, which can be hard to spot because they are often set to work in sequence, and also alerting pig farmers when their piggeries need servicing. “Our Barn Report Pro monitoring system has proved to be extremely popular but farmers don’t always study the data provided in enough detail, so can miss vital clues when something is not quite right in their piggeries,” said Tim Miller, ARM’s environmental specialist. Recently, many farms have been visited for physical testing of air pressure, inlet speeds and other key functions on houses that have been running for a few years. This has then been compared with data from the monitoring printouts. “We found a good correlation and now all ARM sites are being checked by undergraduate-on-placement, Liv Hartshorn, on a daily basis. Farmers are contacted if there is a problem. Sometimes it is as simple as the cables stretching so the inlets don’t open sufficiently,” said Miller. “Detailed pressure-testing and other checks are carried out when new piggeries are commissioned, but piggery ventilation systems need regular servicing and we can pick up when this is overdue,” he added.